Dragon Boat Racing: If you are looking for a great day out by the river then do not miss the annual Rotary Dragon Boat Challenge at Canbury Gardens, Kingston. Hundreds of competitors in up to 48 teams battle it out on the river to determine who makes it into the exciting final. Market stalls, sideshows and bouncy castles and rides for the kids go to make this a fun filled day, that each year raises thousands of pounds for local charities. If you wish to take part in the racing – no experience necessary, and you will be given training (and buoyancy aids, just in case) – find out more by clicking here. 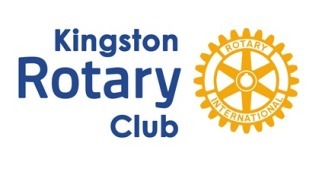 Fireworks: Kingston Rotary Club and Kingston Round Table jointly host a community Firework display in Kingsmeadow Athletic Stadium each November. A display full of colour, noise and excitement set to music, as well as children’s fairground rides, a wide range of refreshments, and music and fun provided by Radio Jackie DJs live in the arena before the big display. Funds raised by this event go to local charities. Christmas activities: Santa’s sleigh takes to the streets of Kingston on the run up to Christmas.